Not to be confused with Reading F.C. Women or Reading Royals. Reading Football Club (/ˈrɛdɪŋ/ ( listen) RED-ing) is a professional association football club based in Reading, Berkshire, England. The team play in the Championship, the second tier of English football. Reading are nicknamed The Royals, due to Reading's location in the Royal County of Berkshire, though they were previously known as The Biscuitmen, due to the town's association with Huntley and Palmers. Established in 1871, the club is one of the oldest teams in England, but did not join The Football League until 1920, and had never played in the top tier of English football league system before the 2006–07 season. The club competed in the 2012–13 Premier League season, having gained promotion at the end of the 2011–12 season after winning the Championship, but were relegated after just one season back in the top flight. The club played at Elm Park for 102 years between 1896 and 1998. In 1998 the club moved to the new Madejski Stadium, which is named after the club's co-chairman Sir John Madejski. The club holds the record for the number of successive league wins at the start of a season, with a total of 13 wins at the start of the 1985–86 Third Division campaign and also the record for the number of points gained in the professional league season with 106 points in the 2005–06 Football League Championship campaign. Reading then finished eighth in the 2006–07 Premier League, their first ever season as a top flight club. Main article: History of Reading F.C. Reading were formed on 25 December 1871, following a public meeting at the Bridge Street Rooms organised by the future club secretary Joseph Edward Sydenham. The early matches were played at Reading Recreation Ground, and later the club held fixtures at Reading Cricket Ground, Coley Park and Caversham Cricket Ground. The switch to professionalism in 1895 resulted in the need for a bigger ground and, to this end, the club moved again, to the purpose-built Elm Park on 5 September 1896. In 1913, Reading had a successful tour of Italy, prompting the leading sports newspaper Corriere della Sera to write "without doubt, Reading FC are the finest foreign team seen in Italy". Reading were elected to the Football League Third Division South of the Football League in 1920. Reading's best performance in the FA Cup came in 1926–27 when they lost to eventual winners Cardiff City at Wolverhampton in the semi-final, a placement the club would not match again until 2015, when they lost to holders Arsenal in the semi-final. Reading lost their place in Division Two in May 1931, and remained in Third Division South until the outbreak of World War II. The club won the Southern Section Cup, beating Bristol City in the two-legged final in 1938, and when taking part in the regional London War League and Cup competitions, gained another honour by beating Brentford in the London War Cup Final of 1941 by 3–2 at Stamford Bridge. When League football resumed after the war, Reading quickly came to prominence once again. The club's record victory, 10–2 versus Crystal Palace, was recorded in September 1946, and Reading twice finished runners-up in the Third (South), in 1948–49 and 1951–52, but they were denied a return to Division Two as only the champions were promoted. The side's moment of cup glory came in 1988 when they won the Simod Cup, beating a number of top flight sides en route to their Wembley win over Luton Town. Reading were promoted to the Second Division as champions in 1986 under the management of Ian Branfoot, but were relegated back to the Third Division in 1988. The appointment of Mark McGhee as player-manager, shortly after the takeover by John Madejski, in 1991 saw Reading move forward. They were crowned champions of the new Division Two in 1994. Thirty-five-year-old striker Jimmy Quinn was put in charge of the first team alongside midfielder Mick Gooding and guided Reading to runners-up in the final Division One table – only to be denied automatic promotion because of the streamlining of the Premier League, from 22 teams to 20. In 1995, Reading had eased past Tranmere Rovers in the play-off semi-finals and looked to have booked their place in the Premier League only to lose against Bolton Wanderers in the final. Quinn and Gooding's contracts were not renewed two years later after Reading had slid into the bottom half of Division One. Their successor, Terry Bullivant, lasted less than one season before being sacked in March 1998. The year 1998 also saw Reading move into the new 24,200 all-seater Madejski Stadium, named after Chairman John Madejski. Tommy Burns had taken over from Terry Bullivant but lasted just 18 months before being replaced by Alan Pardew, who had previously been reserve team manager before being released. The club finished third in 2000–01 qualifying for the play-offs, losing 2–3 in the final against Walsall at the Millennium Stadium in Cardiff. Reading returned to Division One for 2002–03 after finishing runners-up in Division Two. The following season, they finished fourth in Division One and qualified for the play-offs, where they lost in the semi-final to Wolverhampton Wanderers. Alan Pardew moved to West Ham United the following October and was replaced by Steve Coppell. Reading won the 2005–06 Championship with a league record 106 points, scoring 99 goals and losing only twice. Reading were promoted to English football's top division for the first time in their history. The 2006–07 season saw Reading make their first appearance in the top flight of English football. Reading defied pre-season predictions of relegation to finish the season in eighth place with 55 points. Reading turned down the chance to play in the UEFA Intertoto Cup. In the run up to their second season in the Premier League, Reading took part in the 2007 Peace Cup in South Korea. This second season was less successful, however, and Reading were relegated back to the Championship. Reading started the 2008–09 season with a 15 match unbeaten home run. They finished fourth and qualify for the play-offs, where they lost to Burnley in the semi-final. Manager Steve Coppell resigned just hours after the game, replaced by Brendan Rodgers. Rodgers left the club by mutual consent on 16 December 2009 and Brian McDermott made caretaker manager the same day. In the 2010–11 FA Cup, Reading reached the quarter-final, where they lost 1–0 to Manchester City at Etihad Stadium, Reading eventually finished fifth in the Championship to qualify for the division's play-offs. After beating Cardiff City in the semi-finals, they lost 4–2 to Swansea City in the final at Wembley. In the 2011–12 season, a streak of good form in the second half of the season, ensured promotion to the Premier League on 17 April 2012 with 1–0 home win against Nottingham Forest. McDermott led Reading to their first Premier League win of the 2012–13 season on 17 November 2012 at their 11th attempt, defeating Everton 2–1 at home. On 11 March 2013, however, he left his position at Reading. Nigel Adkins was then appointed as manager, though he was unable to save them from relegation after drawing Queens Park Rangers 0–0 on 28 April 2013 at Loftus Road. The following season back in the Championship saw Reading make two high-profile signings in Wayne Bridge and Royston Drenthe in hope of an immediate return to the Premier League. Reading, however, missed out on the playoffs because of a last minute winner from Brighton & Hove Albion's Leonardo Ulloa, which meant they made the playoffs at Reading's expense. The summer before the 2014–15 season saw further arrivals of Jamie Mackie on loan, Oliver Norwood and the return of Simon Cox. The club was under a high threat of administration, causing departures of Sean Morrison and Adam le Fondre and a Thai consortium taking over the club. A good start to Nigel Adkins' second season in charge was followed by a poor run of results that ended with his sacking after the 6–1 away defeat to Birmingham City with Steve Clarke taking over the next day in the hope of a promotion push. However, a lack of goals and some poor form in the league meant the club faced some fears of relegation to League One, but luckily safety was secured with few games to spare. Nonetheless during that time, the club embarked on a successful FA Cup journey, reaching the semi-final where they were unlucky to lose 2–1 to Arsenal at Wembley. The 2015–16 season saw the departures of long-serving players Adam Federici to AFC Bournemouth, Alex Pearce to Derby County and Jem Karacan to Galatasaray, but the arrivals Stephen Quinn and Paul McShane from Hull City, Orlando Sá from Legia Warsaw and Jonathan Bond from newly promoted Premier League side Watford. The summer spending continued, with goalkeeper Ali Al Habsi joining from recently relegated League 1 side Wigan Athletic, Paolo Hurtado from Paços de Ferreira and Andrew Taylor and Álex Fernández in on loan. The club then signed Lucas Piazon on a season-long loan deal from Chelsea just before the deadline day, as well as the signings of winger Ola John from Benfica and striker Matěj Vydra from Watford, both likewise season-long loan deals. The club would finish 17th that season. In the summer leading up to the 2016–17 season the club announced the departure of Brian McDermott and eventually he was to be replaced by former Manchester United defender Jaap Stam. Under Stam, Reading achieved their highest finish since relegation back to the Championship by finishing third and reaching the play-offs, where they beat Fulham on aggregate before facing Huddersfield Town in the final at Wembley where they lost on penalties following 0–0 draw after extra time. On 21 March 2018, Stam left Reading with immediate effect. Two days later, on 23 March 2018, Paul Clement was appointed as Reading's new manager. Clement was sacked on 6 December 2018 after poor results left the club outside of the relegation zone only on goal difference. The first crest to appear on a Reading kit was in 1953, it featured just the letter "R". There was no crest seen again until 1981 when there was a crest featuring three elm trees and the rivers Thames and Kennet; this only lasted two seasons. From 1987–96 the crest used the new kit colours of yellow, sky blue, royal blue and white. A brief return to a design based on the 1981 crest was reintroduced for the 1996–97 and 1997–98 seasons. Commenting on the need for a new crest to coincide with the move to the Madejski Stadium, as well as moving into the new millenium, Sir John Madejski said: "I know some traditionalists will say we should keep the old badge but they should bear in mind the need to move forward." The current crest was first seen on the kits for the 1998–99 season. It is based on the club colours—blue and white—and includes a crown to represent the Royal County of Berkshire and the Maiwand Lion to represent Reading. The club played at Reading Recreation Ground until 1878, before moving on to Reading Cricket Ground (1878–1882), Coley Park (1882–1889) and Caversham Cricket Ground (1889–1896). In 1889, Reading were unable to continue playing at Coley Park as W B Monck (the local squire) no longer allowed football due to "rowdyism [by] the rougher elements". With club membership exceeding 300 by the time the club went professional in 1895, Reading required a proper ground. A meeting the following year determined that funding would be difficult. £20 was donated by J C Fidler, on the proviso that "no liquors were to be sold" on site. The rest of the cost was financed through donations by wealthy supporters, as well as one large individual donation. A former gravel pit in West Reading was identified as the site. The first game at Elm Park was held on 5 September 1896 between Reading and A Roston Bourke's XI. The visitors were a scratch team from Holloway College. £44 was taken on the gate, with an attendance of approximately 2,500. In 1908, the club's annual general meeting proposed moving to a new ground near Reading railway station. A board meeting the following year decided that the move would not be possible, as "there was no chance of a move to the ground near to the GWR railway stations due to the actions of the Great Western Railway". In 1994, the Taylor Report made an all-seater stadium compulsory in the top two divisions (the Premier League and the first division). Reading were champions of the second division in 1994, and were promoted to the first division. Reading became subject to the Taylor requirements, though converting Elm Park to an all-seater stadium would have been impractical. Instead, a location in Smallmead (to the south of the town) was identified as the site for a new stadium. The former council landfill site was bought for £1, with further conditions that the development of the stadium would include part-funding of the A33 relief road. Expansion of the club's home would also allow alternative commercial ventures (particularly leisure facilities) and shared use with other teams (such as rugby union clubs Richmond and London Irish). The last competitive match at Elm Park took place on 3 May 1998 against Norwich City, with Reading losing 1–0. Reading began the 1998–99 season at the Madejski Stadium. It was opened on 22 August 1998 when Luton Town were beaten 3–0. The stadium cost more than £50 million to build. For the first time in its history, Reading Football Club participated in the Premier League in the 2006–07 season. As a result of the sell-out crowds for their first few fixtures of the season, the club announced their intention, in October 2006, to make a planning application to extend the ground to between 37,000 and 38,000 seats. The application was made on 24 January 2007, proposing initially the extension of the East Stand with a further 6,000 seats (raising capacity to around 30,000) and subsequently extension of the North and South Stands to reach the full proposed capacity. On 24 May 2007, it was announced that planning permission had been granted to extend the stadium to a capacity of 36,900. Reading have made plans for a new training ground at Bearwood Golf Club to replace Hogwood park their current training facility. On 5 July 2016, at the end of Eamonn Dolan's funeral, Reading announced that the North Stand would be renamed the "Eamonn Dolan Stand". In 1930, the Reading Football Supporters’ Club (RFSC) was formed to represent the interests of supporters of the club and to assist in raising funds for the football club. On 18 March 2002, the Supporters' Trust at Reading become the official successor to the RFSC. In 2001, Reading became the first football club to register their fans as an official member of their squad, giving the "player" registered with squad number 13 as 'Reading Fans'. For the 2015–16 season, Reading had 12,983 season ticket holders - ranked tenth in the Championship and almost identical to former league champions Leeds United. The figure for that season was greater than the 12,552 recorded in the previous season, but down from the 2013–14 Championship peak of 14,547. The average attendance for the 2015–16 season was 17,570 - the tenth highest in the Championship. Before going out of business in 1992, Aldershot were Reading's biggest rivals. Aldershot were, geographically, the closest Football League club to Reading. There was a strong rift between the two sets of fans, with fighting between fans occurring on several occasions. Strong feelings remain between fans of Reading and fans of Aldershot Town, the refounded club in Aldershot. Aldershot Town were promoted into the Football League in 2008, but the clubs haven't met in a competitive match since the demise of the original club. Aldershot were relegated out of the league in 2013, having entered administration, reducing the chances of a competitive meeting between the two sides in the near future. Since Aldershot's exile, Reading's main local rivalries have been with Oxford United and Swindon Town. When the three teams had shared a division, their rivalry was referred to as the "Didcot Triangle". However, the rivalry between Oxford and Swindon is stronger than between either of the two and Reading, largely due to them both spending their recent history in lower divisions than Reading, and spending their previous history in higher divisions than Reading. In 2012, a small survey showed that Reading's main rivals were Aldershot Town, followed by Swindon Town and Oxford United. Reading has been viewed as rivals by fans of Bournemouth, Brighton & Hove Albion and Wycombe Wanderers, although any rivalry between these clubs in viewed as less important to Reading fans than with the aforementioned sides. During the 2013–14 season and 2014–15 season the Marussia F1 logo was on the back of the shirts as part of a sponsorship deal between former Russian owner Anton Zingarevich and Russian owned Marussia F1. This deal continued until the team entered administration in October 2014. The sponsorship deal ended despite the team surviving and racing in the 2015 Formula One season. During the 2015–16 season, Waitrose was on the back of the home shirt whilst Euro Cake was on the back of the away shirt, meanwhile Legend Alliance sponsored the shorts for the season. Waitrose and Euro Cake sponsored the home and away kits respectively again for the 2016–17 season. Cherwell Software took sponsorship of the back of the home shirt for the 2017–18 season while Euro Cake sponsored the back of the away shirt again for the third consecutive season. As of 1 July 2018, the following players are those in the senior squad who are under 18. Reading's progress through the English football league system from 1920 to present. Reading hold the record for the number of successive league wins at the start of a season, with a total of 13 wins at the start of the 1985–86 Third Division campaign and also the record for the number of points gained in a professional league season with 106 points in the 2005–06 Football League Championship campaign. Reading finished champions of their division on both of these occasions. The club's largest win was a 10–2 victory over Crystal Palace on 4 September 1946 in the Football League Third Division South. Reading's heaviest loss was an 18–0 defeat against Preston North End in the FA Cup 1st round on 27 January 1894. Reading have lost the two highest-scoring matches in the history of the Premier League; Portsmouth 7–4 Reading on 29 September 2007, and Tottenham Hotspur 6–4 Reading on 29 December 2007, as well as losing the highest-scoring League Cup game, Reading 5–7 Arsenal on 30 October 2012. The player with the most league appearances is Martin Hicks, with 500 from 1978 to 1991. The most capped player is Kevin Doyle, who earned 26 for the Republic of Ireland whilst at the club. The most league goals in total and in a season are held by Ronnie Blackman with 158 from 1947 to 1954 and 39 in 1951–52 respectively. The player with the most league goals in a game is Arthur Bacon with six against Stoke City in 1930–31. The first Reading-based player to play in the FIFA World Cup was Bobby Convey in 2006 with the United States. The record time for a goalkeeper not conceding a goal is held by Steve Death at 1,103 minutes in 1978–79, which is a former English league record in itself. Reading's highest attendance at Elm Park was in 1927, when 33,042 spectators watched Reading defeat Brentford 1–0. The highest attendance at the Madejski Stadium is 24,184 for the Premier League game with Everton on 17 November 2012. The highest transfer fee received for a Reading player is the £6.6 million 1899 Hoffenheim paid for Gylfi Sigurðsson on 31 August 2010. The most expensive player Reading have ever bought was Sone Aluko, who cost £7.5 million from Fulham on 29 August 2017. Gylfi Sigurðsson and Samúel Friðjónsson became the first players from the Reading academy to feature in a World Cup squad by being named by Iceland for the 2018 FIFA World Cup. Gylfi Sigurðsson went on to became the first academy graduate to score at the World Cup in Iceland's 2–1 defeat to Croatia on 26 June 2018, after becoming the first academy graduate to play in the World Cup with his appearance against Argentina on 16 June 2018. In 1999, Reading commissioned a poll of the supporters' "Player of the Millennium" to determine the club's best ever player. In May 2006, Reading launched the Reading FC Women's team. They used to play in the FA Premier League Southern Division. From 2014, Reading FC Women played in the FA Women's Super League 2 until they won promotion to the FA Women's Super League 1 in 2015 after winning the league. In the 2017–18 season, they finished fourth in the Women's Super League - their highest league position to date. The team currently plays at Adams Park, home of Wycombe Wanderers. ^ "Madejski Stadium information". readingfc.co.uk. Archived from the original on 7 May 2011. Retrieved 14 April 2011. ^ a b c "The History of Reading Football Club". readingfc.co.uk. 2 May 2010. Archived from the original on 4 February 2010. Retrieved 29 November 2010. ^ Discover gems of our heritage Archived 7 March 2012 at the Wayback Machine, Reading Chronicle, 10 September 2009. ^ "Elm Park Reading". Old Football Grounds. Archived from the original on 30 June 2009. Retrieved 24 January 2012. ^ "The Reading FC Tour of Italy 1913". November 2002. Archived from the original on 11 October 2012. Retrieved 22 August 2006. ^ "Season 1991–92". Royals' Record. Retrieved 7 May 2012. ^ "Walsall break Reading hearts". BBC Sport. BBC. 27 May 2001. Retrieved 7 May 2012. ^ "Pardew free to join Hammers". BBC Sport. BBC. 18 September 2003. Retrieved 7 May 2012. ^ "Coppell seals Reading deal". BBC Sport. BBC. 9 October 2003. Retrieved 7 May 2012. ^ "Championship Table 2005-06". football365. 11 July 2006. Archived from the original on 29 September 2007. Retrieved 25 June 2007. ^ "2006–07 Barclays Premier League Table". ESPNsoccernet. Retrieved 7 May 2012. ^ "Peace Cup diary". BBC Berkshire. 19 July 2007. Retrieved 24 July 2007. ^ Ive, Ive (16 May 2008). "Murty's big game is hit by relegation". Reading Post. Trinity Mirror. Retrieved 7 May 2012. ^ "Coca-Cola Football League Championship 2008–2009". football365. Archived from the original on 12 August 2009. Retrieved 28 February 2010. ^ "Burnley 1–0 Reading". BBC Sport. 9 May 2009. Retrieved 9 May 2009. ^ Ley, John (4 June 2009). "Brendan Rodgers new Reading manager". London: The Daily Telegraph. Retrieved 10 August 2009. ^ "McDermott as Caretaker". readingfc.co.uk. 16 December 2009. Archived from the original on 5 August 2012. ^ "Man City 1 – 0 Reading". BBC News. 13 March 2011. Retrieved 28 May 2011. ^ "League Tables". The Football League. Archived from the original on 17 July 2011. Retrieved 28 May 2011. ^ "Cardiff 0 – 3 Reading (agg 0 – 3)". BBC News. 17 May 2011. Retrieved 28 May 2011. ^ "Wembley tickets sold, season ticket update". readingfc.co.uk. Archived from the original on 30 May 2011. Retrieved 28 May 2011. ^ "Reading 1–0 Nottingham Forest". BBC Sport. BBC. 17 April 2012. Retrieved 25 April 2012. ^ "Reading 2–1 Everton". BBC Sport. 17 November 2012. ^ "Brian McDermott leaves position as Reading manager". BBC Sport. 11 March 2013. Retrieved 11 March 2013. ^ "Jaap Stam appointed as manager". readingfc.co.uk. Reading F.C. 13 June 2016. Retrieved 13 June 2016. ^ "Club statement". readingfc.co.uk. Reading F.C. 21 March 2018. Retrieved 21 March 2018. ^ "Paul Clement appointed as new Royals boss". readingfc.co.uk. Reading F.C. 23 March 2018. Retrieved 23 March 2018. ^ "Reading sack manager after less than nine months". BBC Sport. 6 December 2018. ^ a b c "Old Reading colours". Historical Football Kits. Retrieved 14 January 2010. ^ "Vote to choose the new Royals badge". Reading Evening Post. 27 November 1995. Retrieved 23 January 2015. ^ "New crest design". onlysport.co.uk. Retrieved 23 January 2015. ^ Royals Record (2011a). "Reading's Grounds". Royals Record. Retrieved 3 June 2011. ^ a b c d e 1871 (2003). "The Home Grounds of Reading FC". 1871 – The Ultimate Reading FC Website. Archived from the original on 22 June 2012. Retrieved 2 June 2011. ^ Loader, Graham (1998). "READING 0 Norwich City 1". Hob Nob Anyone?. Retrieved 2 June 2011. ^ Loader, Graham (1998). "Reading 3 Luton Town 0 (22 August 1998, Madejski Stadium)". Hob Nob Anyone?. Retrieved 13 August 2015. ^ "Stadium pitch has been lengthened". readingfc.co.uk. 2 July 2007. Archived from the original on 22 August 2007. Retrieved 2 July 2007. ^ "Royals ready to extend Madejski". BBC Sport. 21 September 2006. Retrieved 28 January 2007. ^ "Plans for stadium expansion will be submitted to the Council later this week" (Press release). Reading F.C. 22 January 2007. Archived from the original on 9 June 2012. Retrieved 28 January 2007. ^ "Committee Report by the Director of Environment Culture & Sport" (PDF). Reading Borough Council Planning Applications Committee. 23 May 2007. Archived from the original (PDF) on 6 April 2008. Retrieved 31 May 2007. ^ "The Eamonn Dolan Stand". readingfc.co.uk. Reading F.C. 5 July 2016. Retrieved 5 July 2016. ^ "Fans given thumbs up for Number 13". readingfc.co.uk. 9 August 2001. Archived from the original on 27 April 2008. Retrieved 26 January 2007. ^ EFL Attendance Report - Season 2015/16 - Season Ticket Holders (PDF). English Football League. Retrieved 5 March 2018. ^ EFL Attendance Report - Season 2015/16 - Average Attendance (PDF). English Football League. Retrieved 5 March 2018. ^ "EFL Attendance Analysis & Report – Season 2015/16". English Football League. 31 January 2017. Retrieved 5 March 2018. ^ "No 6. Reading". The Guardian. London. 21 February 2001. Retrieved 22 May 2010. ^ Reading FC vs Aldershot 14/07/01. Royals.org (14 July 2001). Retrieved on 2013-07-17. ^ "Distances for Reading fans to travel to away game". 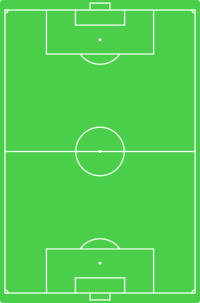 footballgroundmap.com. Retrieved 5 March 2018. ^ "Aldershot Town: Relegated club goes into administration". 2 May 2013. Retrieved 5 March 2018. ^ "Didcot Triangle/Wallingford Quadrangle". Archived from the original on 24 October 2012. Retrieved 22 February 2007. ^ "Didcot Triangle". Retrieved 19 June 2011. ^ a b "Rivalry Uncovered" (PDF). The Football Fans Census. p. 6. Archived from the original (PDF) on 4 March 2009. Retrieved 11 April 2007. ^ a b "2012-13 Football Rivalry Survey Results". ^ "Waitrose announces two-year extension of Reading FC sponsorship". waitrose.presscentre.com. Archived from the original on 6 October 2011. Retrieved 18 April 2011. ^ "Reading FC sign Carabao as Principal Partner until 2019". readingfc.co.uk. Reading FC. 17 June 2016. Retrieved 17 June 2016. ^ "Royals announce new partnership with Macron". readingfc.co.uk/. Reading F.C. 17 April 2019. Retrieved 17 April 2019. ^ "Reading FC | First Team". Reading FC. Retrieved 25 July 2018. ^ "Reading stats". Archived from the original on 23 July 2008. Retrieved 12 December 2018. ^ a b c d e f g h i j k "Club Honours and Records". Reading F.C. 11 July 2012. Archived from the original on 14 February 2013. Retrieved 15 September 2012. ^ "Points record". The Football League. Archived from the original on 10 February 2012. Retrieved 7 May 2012. ^ "Reading 2–1 QPR". BBC Sport. 30 April 2006. Retrieved 4 May 2006. ^ "Reading Internationals". Royals' Record. Retrieved 6 May 2012. ^ "United stretch lead after Van der Sar record". CNN world sport. Cable News Network. 31 January 2009. Retrieved 19 April 2012. ^ van Eijden, Han (2011). 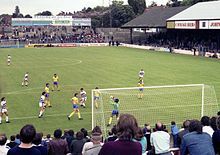 "Elm Park Reading". Old Football Grounds. Archived from the original on 30 June 2009. Retrieved 1 June 2011. ^ "Sigurdsson leaving in Club record deal". Reading Football Club. 31 August 2010. Archived from the original on 5 October 2010. Retrieved 6 May 2012. ^ "Fae joins for club record fee". 2 August 2007. Archived from the original on 16 June 2007. Retrieved 3 August 2007. ^ "Jón Daði is off to the World Cup!". Reading F.C. 11 May 2018. Retrieved 19 July 2018. ^ "A karla - Hópurinn sem fer á HM í Rússlandi". ksi.is (in Icelandic). Football Association of Iceland. 11 May 2018. Retrieved 11 May 2018. ^ "Gylfi Sigurdsson". 2018 FIFA World Cup Russia. FIFA. Retrieved 19 July 2018. ^ "Player of the Millennium vote". Reading F.C. 5 September 2008. Archived from the original on 18 September 2009. Retrieved 18 August 2009. ^ "Reading F.C. "The Management"". Reading F.C. Archived from the original on 26 January 2012. Retrieved 20 February 2012. ^ "RFC Academy staff list". Reading F.C. 13 February 2012. Archived from the original on 7 December 2011. Retrieved 20 February 2012. ^ "More first team staff profiles". Reading F.C. 20 September 2011. Archived from the original on 26 September 2011. Retrieved 20 February 2012. ^ "Reading: Royals to add four new staff". Reading FC Official Website. 25 June 2015. Retrieved 25 June 2015. ^ "Reading FC Women Club History". Reading F.C. Women. Retrieved 19 July 2018. ^ "Ground Details". Reading F.C. Women. Retrieved 19 July 2018. ^ "Charlotte United F.C." charlotteunited.com. ^ Ernakulam Eagles sign MoU with Reading – Times Of India. Articles.timesofindia.indiatimes.com (29 April 2013). Retrieved on 2013-07-17. ^ unveils new name: Nor'easters Archived 26 March 2010 at the Wayback Machine. Ocean City FC. Retrieved on 17 July 2013. ^ HOW SOUTH GEORGIA UNITED BECAME A READING FC AFFILIATE CLUB Archived 6 June 2014 at the Wayback Machine. South Georgia United. Retrieved on 5 June 2014. Digby, Bob (2001). It's a World Thing. Oxford, Oxfordshire: Oxford University Press. ISBN 978-0-19-913428-1. Retrieved 2 June 2011. Yeo, Stephen (1976). Religion and Voluntary Organisations in Crisis. Abingdon, Oxfordshire: Taylor & Francis. ISBN 978-0-85664-017-9. Retrieved 1 June 2011. Wikimedia Commons has media related to Reading F.C.. This page was last edited on 19 April 2019, at 10:30 (UTC).